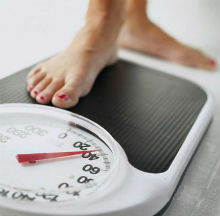 Going on a diet is probably one of the most challenging feats for persons wanting to lose weight. Well, unless you are strong willed enough to resist tempting desserts and fat yummy food items like bacon, fries and burgers, you’ll surely have a hard time trying to stick to otherwise healthy food items. Sometimes, even our lifestyle can have direct impact on the possibility of us losing weight. Here are a few changes to your everyday routine that might help you lose weight without banning yummy food items. Here are 3 simple healthy ways to lose weight. Never skip your breakfast. Most people who try to go on a diet skip meals. However, doing so will only make you feel hungrier and binge out on your next meal. Breakfast is considered to be the most important meal and provides you with energy throughout the day. Your food intake during this meal will be able to determine how much you will consume for lunch and dinner. Eat more fruits. 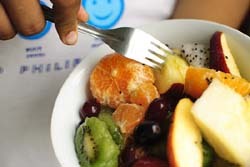 Fruits are very safe and nutritious fillers. They can fill your stomach and make you feel full without the unwanted fats. Most fruits also have fiber which can help your digestive system and regulate your metabolism. As much as possible, take a walk. Walking here not only means morning exercise but also the very activity of walking throughout the day. Take the stairs instead of the elevator to burn calories. Take your dog out for a walk or a run when you get home. You’ll not only burn some fat but you’ll also be able to spend time with your canine buddy. I usually bring my dog out in after the dinner for 45 minutes to an hour walk a couple times a week. What about you?